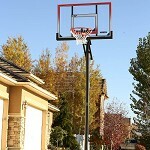 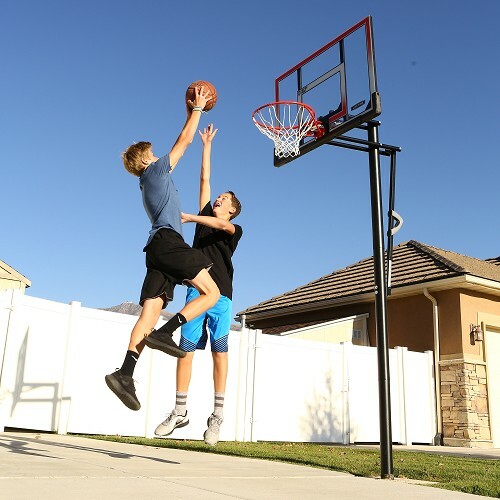 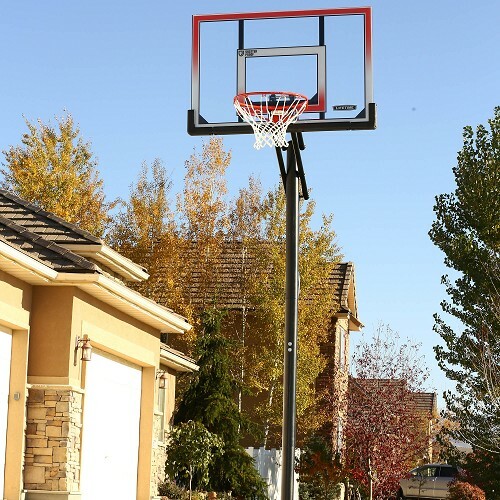 This Lifetime In-Ground Basketball System Features a clear, 50 in. 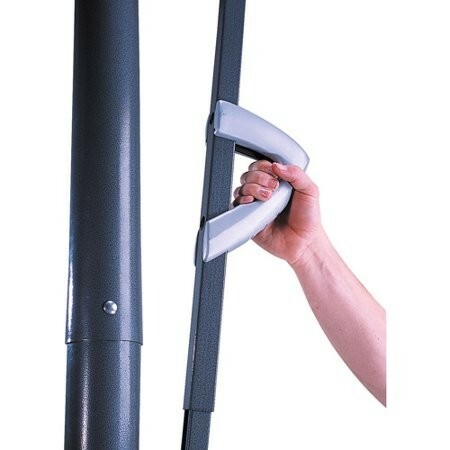 x 33 in. 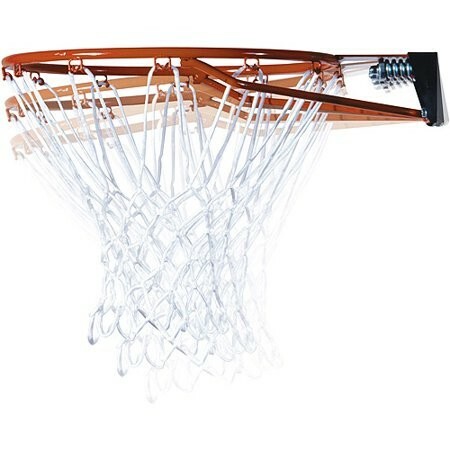 x 1 in. 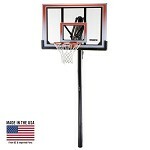 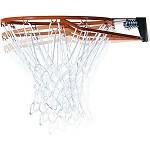 Steel-Framed Shatterproof Backboard with a blow-molded frame pad (black), Action Grip, 3.5 in. 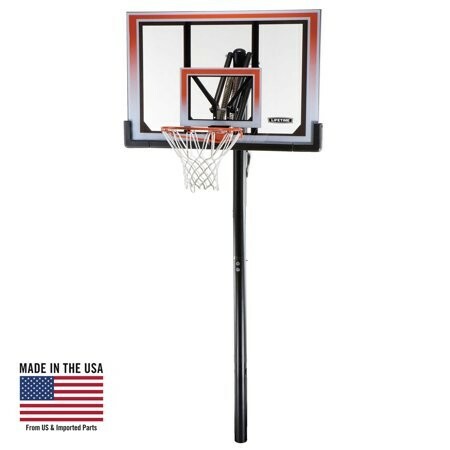 round pole - 3 piece (black), and a Slam-It Rim (orange)!